Caltrain is trying a new approach to prevent suicides on its tracks. Officials publicized a new crisis hotline at Palo Alto City Hall. This service is a text only hotline and experts say teens are more likely to text for help than call on the phone. "It feels a little bit more anonymous, more private," said Libby Craig, the Bay Area Director of Crisis Text Line. "A little less vulnerable than picking up the phone, and so it can be a really accessible way to get help." "My daughter was texting the night before she died," said Sally Longyear, the mother of a young girl who committed suicide. "So if she could have texted someone and could help her out of that very dark moment that she was experiencing, that may have helped her." 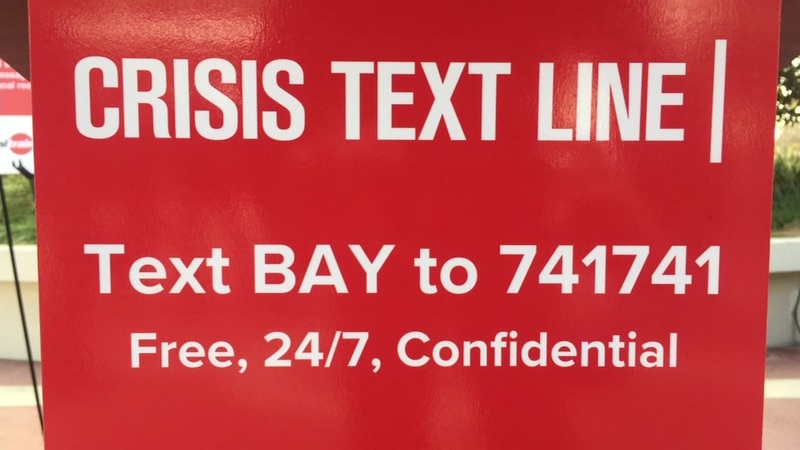 Anyone in crisis can text the word BAY to 741741 to communicate with a counselor. The hotline is available 24 hours a day.